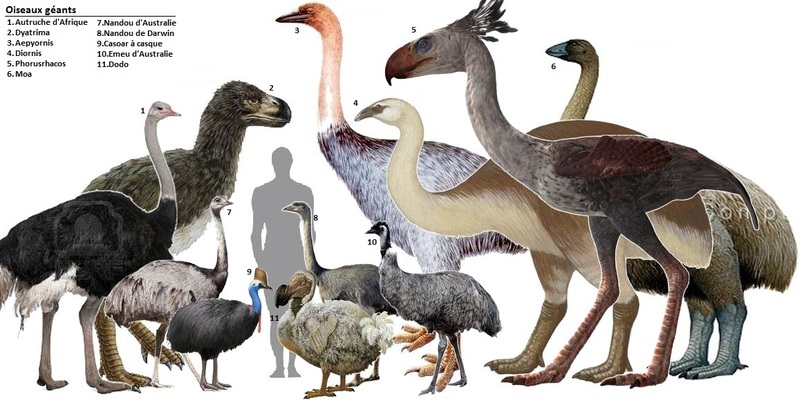 Note: Although we say that it was the heaviest bird to have ever existed, we can only say that because we haven’t been able to find any traces of a larger bird yet. Interestingly, it wasn’t something that belonged to the Dinosaur era. It went extinct recently, around the 17th or 18th century, probably due to humans hunting it for food. Since cameras did not exist at that time, only written accounts of its sighting have been found. As logic dictates, a huge bird would lay huge eggs. 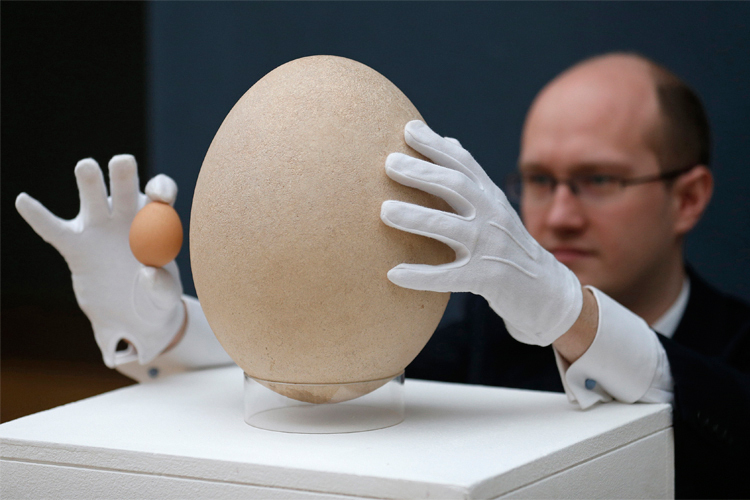 So, with a volume of about 180 to 250 times that of a chicken egg, measuring about 1 feet in height, its eggs were the largest laid eggs ever; larger than human heads. The shells could hold around 11 liters of liquid. Its eggs were said to have fed whole families. Some of them have been preserved – Some are being auctioned and some are available in museums. National Geographic Society in Washington holds a specimen that has the skeleton of an unborn Elephant bird.